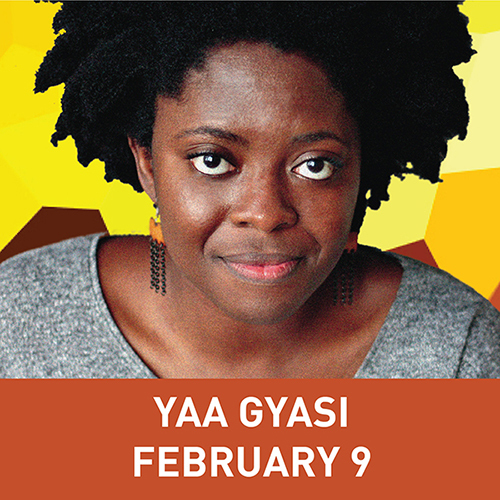 TAMPA, Fla. – Yaa Gyasi, a Ghanaian-American novelist and author of Homegoing, will interweave topics of history, race and family during a lecture at 7:30 p.m. on Thursday, Feb. 9 in the University of South Florida’s Marshall Student Center Oval Theatre. The event is free and open to the public, and is sponsored by the College of Arts and Sciences, the Office of the Provost and the Institute on Black Life, as part of the university’s Frontier Forum lecture series. Gyasi, recipient of the National Book Foundation’s 2016 “5 under 35” Award, will discuss Homegoing, which highlights the history of slave trade in Ghana and the United States and its impact on two half-sisters raised apart in 18th century Ghana. Praised for being a captivating and engaging speaker, Gyasi also will touch upon the topics of exploring contemporary craft, cultural identity, and the complex racial landscape of America’s past and present using personal struggles with her identity. Born in Ghana and raised in Alabama, Gyasi earned a bachelor of arts in English at Stanford University and a master’s degree in fine arts from the Iowa’s Writers’ Workshop. A gifted young writer, she traveled to Ghana’s Cape Coast Castle to research her novel in depth. The site is a symbol of the slave trade where British soldiers kept African slaves before selling them to plantation owners in the U.S. Doors open for the event at 7 p.m., with parking for the public located next to the Marshall Student Center. Following the lecture, Gyasi will be participating in a book signing, with books available for purchase.